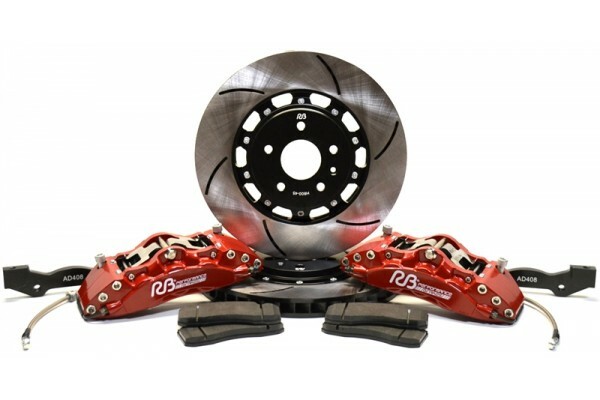 The pattented technology of RB Performance Brakes is now availbe in this 380mm (15") 6-piston front Big Brake Kit for the Gen 3 IS 250/350, Gen 4 GS 300/350/430/450/460, and the new RC 350. The wheel fitment template is available to help confirm fitment. 2-P floating design allows uniform expansion and better cooling via air channels. Reduces heat conduction to wheel bearings. Uses Standard FMSI pads (D1371) making replacement pad options vast. Made in the USA , Designed fully assembled and 100% hydro tested prior to shipment from Fullerton,CA. Canada shipments are tax exempt due to NAFTA guidelines.